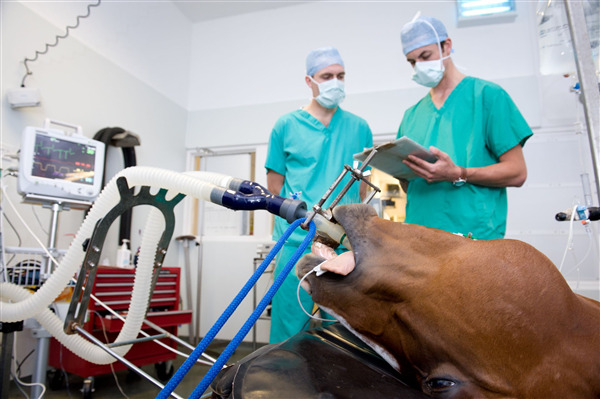 The British Equine Veterinary Association (BEVA), The British Small Animal Veterinary Association (BSAVA) and The Association of Veterinary Anaesthetists (AVA) have successfully engaged with the Veterinary Medicines Directorate (VMD) to facilitate a practical solution to the isoflurane supply problems. Isoflurane is the most widely used veterinary anaesthetic agent in animals, allowing both routine and emergency surgeries to be performed. It was announced last week that the third-party manufacturer of isoflurane had to cease production with immediate effect due to a mechanical problem on the production line. This resulted in a shortfall of the anaesthetic. Stocks of alternative products are believed to be limited, with the potential for supply to be restricted. It is therefore highly likely that routine operations for dogs, cats and horses would have to be postponed. Some clinics had concerns that they would not be able to safely perform emergency surgery over the Christmas period. Having investigated alternative sources of isoflurane, and alternative products, BEVA, BSAVA and AVA proposed ways that the VMD might mitigate the risks to animal welfare including consenting to the use of unlicensed (“special”) isoflurane formulations. The VMD responded rapidly and positively. It is understood that one specials manufacturer is now intending to produce isoflurane to fill or partially fill the gap in supply. This should be available in three to four weeks. All the associations noted that the situation doesn’t give vets free rein to ignore the medicines legislation; the cascade must still be followed, and client informed consent obtained, if an unregulated anaesthetic is used.